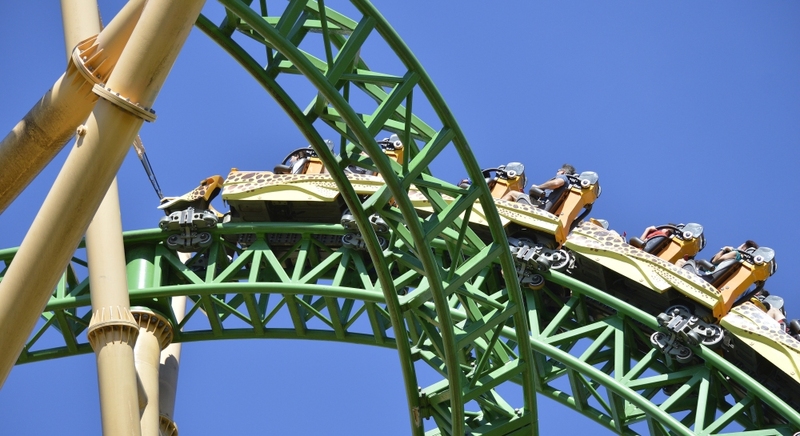 A power outage at Busch Gardens in Tampa, Florida, shut down rides, stranding riders early Wednesday afternoon. While the cause of the outage isn’t known at this time, this is at least the third time in recent months an outage has affected the park and its guests. Back in May, a squirrel got into a substation and caused an outage, and in July, a Dominion Energy transmission line failed, causing a widespread outage in the area. Busch Gardens Tampa Bay is experiencing a power outage today, September 19. We are still permitting entry into the park, and our ambassadors are working to restore power to the affected areas as soon as possible. Updates will be available via Twitter (News - Alert). Thank you for your patience. Busch Gardens staff worked quickly to evacuate rides, but continued to allow entry into the park, anticipating quick resolution to the outage. Once power was restored about an hour later, the park conducted safety checks on each of its major attractions before resuming normal operations. A few rides were left closed due to weather conditions in the afternoon, however. Busch Gardens is one of several attraction venues that that has suffered power outages in recent months. Among others, Playland’s Castaway Cove in New Jersey had to evacuate riders this summer, and Dodger Stadium in Los Angeles experienced two separate outages while games were in progress. Outages are not only an inconvenience for these and other businesses and their customers, but they present ongoing risks to the technology that allows them to function. Power fluctuations can easily damage tiny circuits in systems, causing them to fail. While outages themselves are often resolved within a short period, equipment damage can take days or even weeks to repair, resulting in significant lost business opportunities. That’s why every business that is dependent on its technology – and that’s effectively every business today – should invest in power protection systems, which are designed specifically to prevent damage to sensitive technology during outages and power surges. These solutions can be customized to fit any size business, from small offices to amusement parks and stadiums, and should be part of every company’s DR planning.